On April 21st, we have the honor of hosting an event with the Maestro. Glenn Roscoe is perhaps best known for his work on the piano. This evening with the Maestro will take place at Mano Swartz located in Green Spring Station on Falls Road. Guests will have the opportunity to hear him play live while enjoying light refreshments and a glass or two of wine. Guests will also have the opportunity to shop around or just try a fine fur on for fun. Glenn is what we here at Mano Swartz consider a remarkable customer. In a lifetime you only meet a few people as positive and as nice as Glenn. Just being present, he has the special ability of making you feel that everything will be alright no matter what is happening. Not only is Glenn an incredible friend, customer, and person, he is an extraordinary musician. Glenn has been endowed with special music abilities. He exemplified an ability to play the piano at the age of three and at the age of six his parents enrolled him in the Peabody Preparatory School of Music. 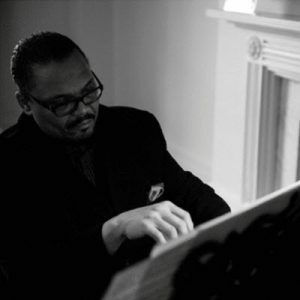 Glenn’s education includes the Baltimore City Community College, where he earned his AA in Music, UMBC where he earned a BA in Music, and studies in the Ronald E. McNair Scholars doctoral program, with a concentration in ethnomusicology and choral music. In February of 2014, he performed at The White House for the annual Historical Society Black History Month program. What better place to have a small private concert then in the comforts of your local furrier? Peruse some of the new merchandise, try on some playful fur hats, and listen to the renowned maestro. Both women’s and men’s furs will be on location. 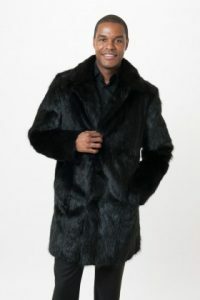 Men’s furs have become increasingly popular over the past few years. You can make a statement in a chinchilla jacket or keep it casual in a shearling. Whether it’s a reversible leather and mink bomber jacket, or a fur trimmed coat, there is something for everyone.